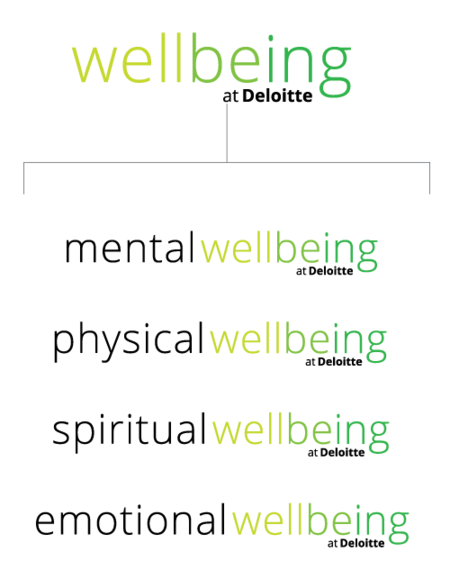 We understand the importance of wellbeing and know that there are different aspects that contribute to your wellness. That’s why we’ve taken the initiative to develop a program: Wellbeing at Deloitte. We strive to promote and support a holistic approach which allows our people to realise their potential, both personally and professionally across all dimensions of wellbeing. To encourage our staff to take a moment to pause and re-centre themselves, we built a mindfulness hub for staff to access free mindfulness tutorials. Our Audit team has even built a Zen Den equipped with a Virtual Reality meditation app, mindful colouring and journaling. We deliver education sessions delivered across the firm nationally during mental health awareness month and on R U OK day. These fairs showcase our providers’ services to our people and are an annual event in our wellness calendar. We offer free annual flu shots (April/May) and skin checks (January/February). We created a two-month national step challenge which encouraged our people to walk a minimum 10,000 steps a day. We had 603 registered teams, comprising 3,987 individuals. Collectively, the firm stepped the equivalent distance of 40 trips around the Earth. Our winners received gift vouchers to purchase products to complement their wellness.